This is my first year trying this variety. I have had bad luck with Dark Opal Purple, and Purple Ruffles was the only other dark variety available locally as seeds. I am a bit confused, though. The seeds germinated beautifully and I have at least a dozen small, healthy seedlings. But only one is purple! 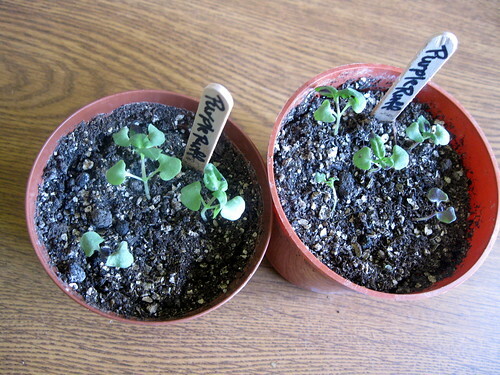 Sown from my Basil, Purple Ruffles Seeds. 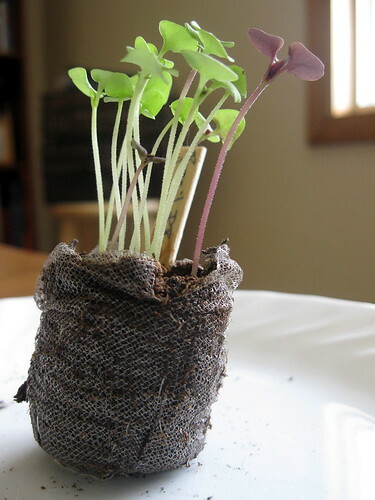 If sowing directly, aim to sow 0.12 inches (0.3 cm) deep and try to ensure a gap of at least 0.5 inches (1.27 cm). Purple Ruffles normally grows to a max height of 1.46 feet (that's 45.0 cm metric) so ensure you have enough space in your garden for this plant. Your garden has indoor light - try to position in a full sun location instead. More information about Basil, 'Purple Ruffles' is available in the Folia gardener's wiki. All Basil, 'Purple Ruffles' Care Instructions have been kindly provided by our members.